Not a lot of Macedonian startups work on hardware or on ingenious ideas with groundbreaking technology. This is why we were more than happy to get together with Dusko Muratovski and pick his brain on Vison Dynamix’s latest project. What can you tell us about the startup, how many people are involved, how long have you been working together and what are your responsibilities? Vision Dynamix is ​​a spinoff company formed in June 2016. It was created to develop a real-time 3D mapping platform. The idea came to me after the defense of my thesis, which was on real-time and simultaneous localization and mapping with a single camera. For the purposes of the thesis, I used an unmanned drone. Afterwards, my mentor, Prof. Dr. Mile Stankovski and I concluded that part of the thesis could be used for commercial purposes. That is how the idea was born to create 3D map in real-time with a drone. The surface of this is barely scratched and current solutions are either too expensive or not flexible enough. We took our idea and we applied at Fund for Innovation and Technological Development of the Republic of Macedonia. We wanted our startup to be supported from the government and, surprisingly enough, we came out victorious. The official work on the product started in February 2017. Professor Stankovski and I are the co-owners of the company. We have three engineers working on the project. Andrei Georgievski is our software engineer, Stole Jovanovski is system integration engineer and Stefan Zlatinov is development engineer. Our engineers are knowledgeable in several programming languages ​​such as C, C ++ and Python, computing systems. They have extensive knowledge of hardware components and their capabilities. The three employees were picked from the best students of FEIT and FINKI. As a technical director, I am actively involved with the development. Prof. Dr. Mile Stankovski works as a manager and a consultant. It is worth noting that our work is on the same level as the most prestigious research institutes in this field. Our engineers do not have to go abroad in order to work in outstanding conditions. I think this is one of the ways to motivate the youth to continue working in our country. How did you form the team? Did you all know each other from before or did you meet for the first time for the project? How hard is it to find people with interest and knowledge of drones and mapping? Professor Stankovski and I go a way back, from the time I studied at the Faculty of Electrical Engineering. And, of course, he was my mentor for the master thesis. Prior to the first meeting, I did not know the other members, but the professor knew them all and together we chose them specifically for this occasion. It was very difficult to find people with the necessary skills. Our area of expertise is far-reaching and it requires the person to be knowledgeable in many other areas, such as mathematics, linear transformations, nonlinear optimization methods, multi-image geometry, as well as to have wide knowledge of computer vision and 3D graphics, good understanding of algorithms and data structures, and algorithms of management. In addition, there is the hardware part, knowledge of sensors and actuators, autopilots, radio equipment and drones. Employees are required to not only know and understand all of this, but to be also able to use their theoretical knowledge for practical purposes and implementation. Tell us more about the technology you are developing. How does it work? By using a drone, our solution enables the creation of a 3D map of the environment and various objects in real time. This means that we have a drone equipped with a camera and a computer as well as other essential sensors. When the drone is in the air, it can create 3D model of the environment in real-time. The camera can show you real-time imagery as well as a 3D model of it. We are trying to make the model as accurate as possible, with the actual dimensions of the object we are mapping. 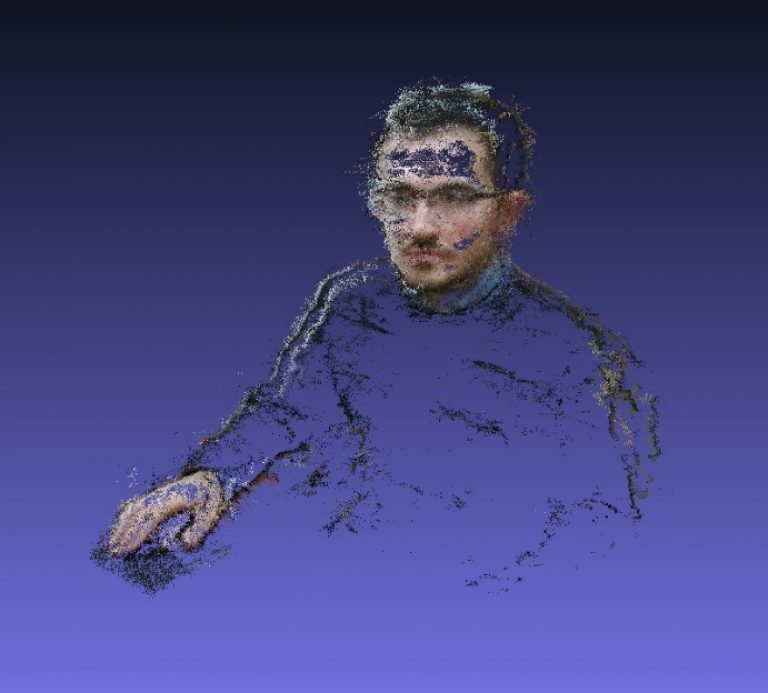 The first group uses a technique called photogrammetry, that is, multiple images are processed with a complex software application. The end-result is a 3D map, but this technique does not work in real time and pictures must be downloaded from the drone first and then processed on a computer. The photogrammetry technique usually lasts for several hours, on some occasions it may even stretch for several days. The 3D map you come up with is not of great accuracy. The second group uses a Lidar scanner mounted on a drone. With it, one can easily and precisely scan the environment. We are talking about the same technology that is used for the navigation of autonomous vehicles. The technique is quite precise, but it is very expensive, in terms of both equipment as well as hourly usage. Our method would be somewhere in between the previous two. 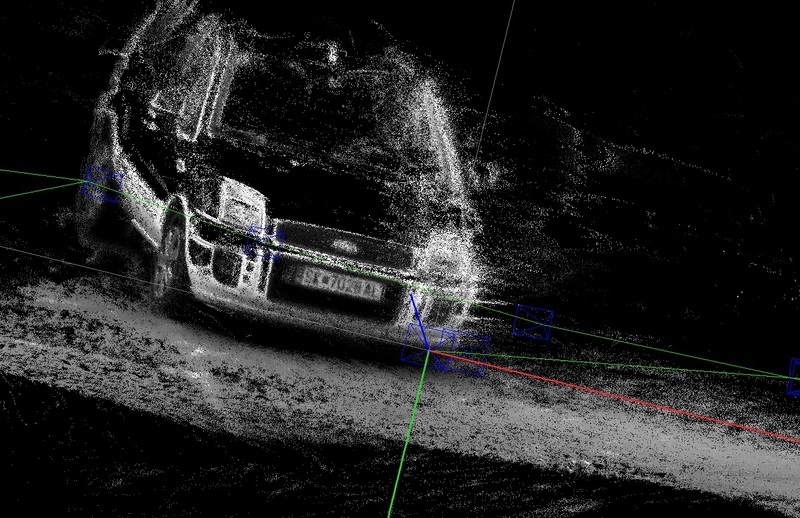 In other words, we want to get the speed, precision and real-time component as the ones found in Lidar scanners, but for the fraction of the cost, somewhere close to the cost that is required for the first method. Our final product would consist of a drone with the appropriate equipment and software. The operator of the drone would be able to make a 3D map while the drone is in the air. The drone operator could then monitor real-time creation of the map. In case of some errors or if the need arises for better precision, the user could fly over and re-scan only that particular part, which, with the current systems, is not possible. Nowadays, if there is an error in the mapping process, one must start a completely new flight and do everything all over again. What technologies do you use in the development? Development is divided into two parts, software development and hardware development. We develop the software using C ++ and Python programming languages. We also use ROS (Robot Operating System) to test proper hardware / software integration. In addition, we use the OpenCV computer vision package and OpenGL for 3D graphics. The development is possible thanks to the nVidia Jetson computer that is primarily intended for use in vehicles and drones. In terms of hardware development, our focus is on designing and assembling the drone and installing the necessary components, as well as designing hardware parts that are a perfect match. Is your team working on all of these things? To be able to properly test the technology, we made two drones just last year. We do everything, from assembling of the drone and software development to the integration of the hardware and the software. The number of companies working on hardware in Macedonia is small, and the number of the companies that are successful in the field is even smaller. What made you explore uncharted waters? I would not say that we are dealing with a complete hardware development. We get our supply of parts and components from abroad and then we work on the necessary assembling. We have, however, manufactured several innovative parts that may very well enter wider distribution sometime in the future. In our country, the hardware is mostly used to test the platform and optimize its capabilities. In the future, when we come up with the final design of the product, we would like to manufacture most of the components we need. For starters, our eye is set on the manufacturing of the carrier frame or the drone housing. Other components, such as engines, electronics and controls, can only be made by and handful of companies in the world. How do you overcome certain challenges when developing hardware in Macedonia? So far, the biggest challenge was the procurement of the necessary parts. Because of the nature of our project, we have to supply parts from abroad and for some of them we had to wait quite a long time. In addition, some components, such as batteries, require you to go through a procedure of obtain special permissions. In what other ways can we use the maps? Our main clients would be geodetic and construction companies. They are the ones that need precise 3D maps generated in a relatively short span of time. The system, however, can be used in many other areas, such as inspection of industrial facilities and installations, inspection of bridges and dams. For strategic value, the military and police could also use it. For the film and the video game industry, our technology enables fast and accurate creation of 3D maps from real locations, which can be further processed and later included as a digital location in a computer game or movie. What is the biggest advantage of the product? What would the biggest challenge be? As I mentioned before, the biggest advantage would be creating high-precision 3D maps in real time. This, as far as we know, would only be possible with our product. The challenge would therefore be, not only to create a platform, but also to create a market and generate interest in this type of product. From a technical point of view, the biggest challenge was to put theory into practice, that is, to merge all the knowledge from computer vision and software management into an operating unit. Aside from this, another big challenge would be to come up with the necessary funding. To that end, we are currently negotiating with several foreign investors that are interested in the product. The plan is to continue with the development. Our product is already in the final stages of development. We would like to start with presentations that can familiarize potential customers with the numerous possibilities of our product. At the same time, we would like to work with external consultants. Working on other projects that are from the same area of expertise is another possibility. Thanks to the development of autonomous vehicles, we are just starting to see improvements in this area. I think that our work helps create personnel that is very important for Macedonia, since we are expanding on scientific areas that have not been represented up to this point.